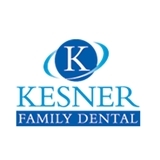 Stuart Kesner DDS (Kew Gardens Hills) - Book Appointment Online! Choosing a dentist is not an easy task. From the smallest child to your oldest relative, my staff and I pride ourselves on treating patients with respect in a warm, friendly and caring atmosphere. We offer a full range of dental services, including an initial examination, cosmetic dentistry, emergency care and a total smile makeover. We accept a wide range of insurance plans. Convenient parking is available. Great office..hardly any waiting time and the doctor was awesome no pain and he was very sensitive ,nice and patient.